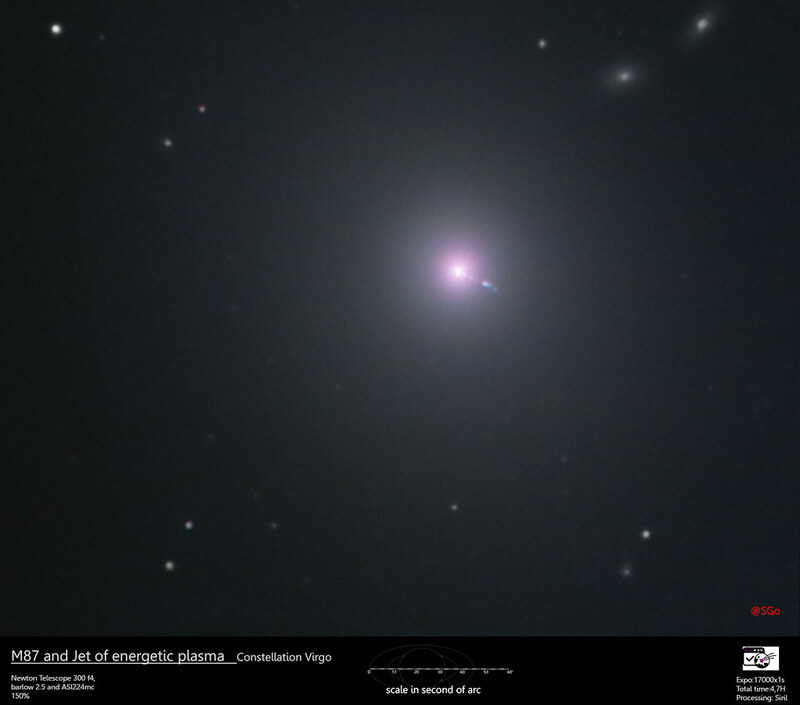 I wanted to use a large focal length to have a fairly small sample and thus to detail the jet that is expelled from the central black hole of this elliptical galaxy. To live next to a monster like this must be a bit tense! I used a 300mm F4 newton OO telescope, a 2.5x barlow and my little ASI224mc. There were 3 sets of catches on 20, 23 and 24 April. After making a severe selection, I kept that 17000 frames of 1s, almost 5h. The treatment was done with Siril, the best software for the fast sky anyway! fast and accurate. Thank you Cyril! Wow Stephane, that's awesome! 17,000 frames...that's a bunch of data to process. Your computer must glow white hot while it's processing that stack. Very well done! thank you John, It's the same as the planetar treatment, my computer is an I3 with 16 GB of ram. Wow, that is amazing! Excellent work! Those images are inspiring! Thanks for sharing. This is what it's all about, awesome! 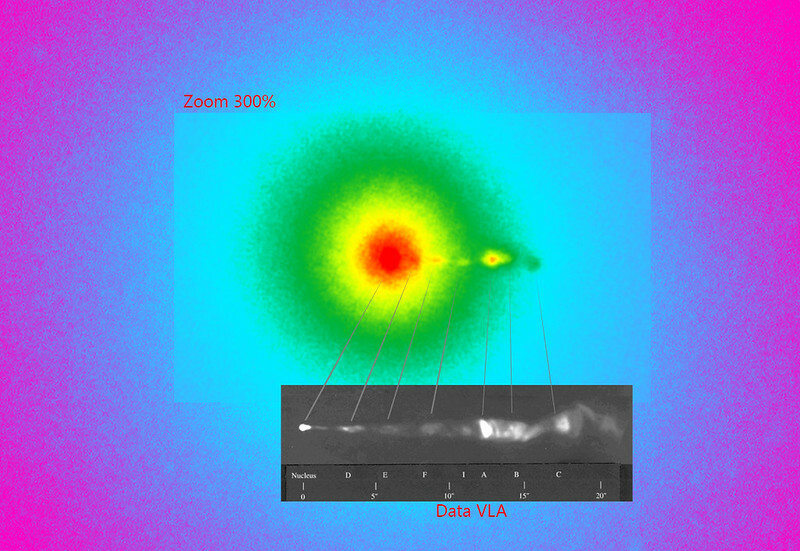 I love it when images show science! Thanks for posting your excellent work! I was wondering lately what you're working on now, now I know. I think it would have looked far better with 18,000 frames. No, seriously that is an outstanding achievement. Congrats! thank you Derek, and I counted them all! I love that challenging stuff. Great work. thank you Louie, your website is fabulous!